Now that summer break is upon us, food insecurity is hitting some Southwest Florida families especially hard. According to a recent United States Department of Agriculture study, 16.5 percent of all U.S. households with children experienced food insecurity in 2016, affecting some 6.5 million children. With school out for summer, kids are no longer able to get free meals at school. But, the Lee County School District’s Food and Nutrition Department is working to combat hunger among students over the summer months by providing free nutritionally-balanced breakfasts, lunches and snacks for local kids under 18 at a number of locations throughout the county. The district held a kick-off event for the initiative yesterday in Cape Coral, which aimed to expand the reach of the program and connect with families that hadn't taken advantage of the summer food program in the past. This local summer food distribution program is sponsored by the USDA's Summer Food Service Program. 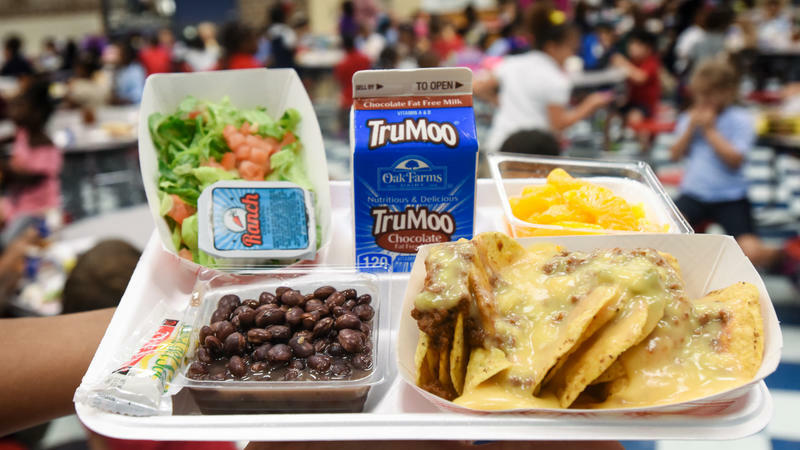 In Lee County alone, it typically serves 10,000 meals a day to kids at more than 100 locations, including in summer school, at summer day camps, parks and other public areas. Lauren Couchois is the district's food service director, and Breanna Gustafson is the marketing supervisor for the Food and Nutrition Services Department. They both join Gulf Coast Live to give a closer look at the program, the challenges of food-insecure households and the link between proper nutrition and academic performance.